Porsche launched an experimental short-term rental service allowing pretty much anyone over the age of 27 and properly licensed to take a 911 for a week, or even a few hours. It’ll cost you, though. 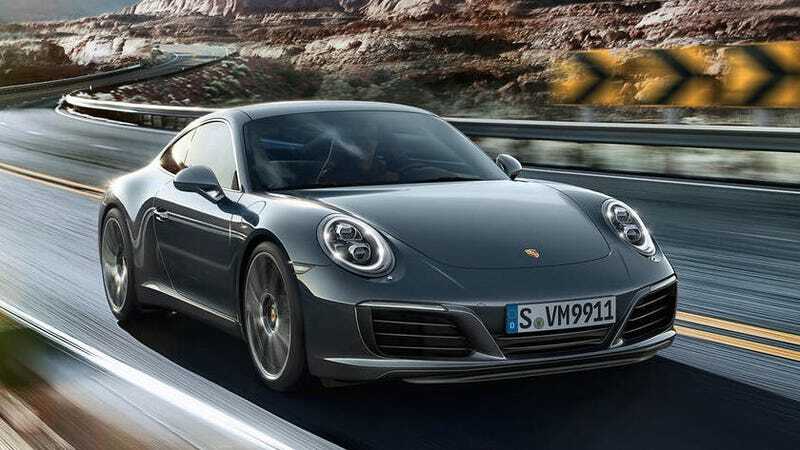 The 911 Carrera is the headliner here, of course, though I might spring for the Panamera since, depending on what trim it is, it looks to be slightly more bang for your buck. For now, the service is only in Atlanta but comes with the (useless, though aesthetically important for some) touch of class you might expect. Porsche Drive includes white-glove concierge delivery service. Once a reservation is confirmed, the vehicle will be delivered within two hours to the customer’s requested location in metro Atlanta. The website says that you have to be 27-years-old, have had a valid driver’s license for five years, are able to put down a $2,500 security deposit in addition to the rental fee, and have a valid passport to qualify. A Porsche spokesperson confirmed that there weren’t any requirements beyond that, like a credit check. 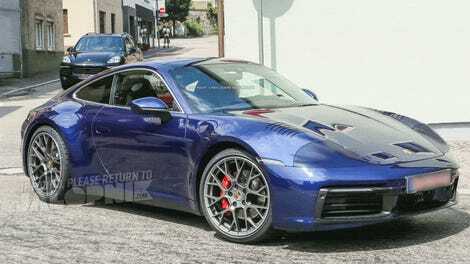 I wondered because the form on Porsche Drive’s website is labeled a “rental request,” but Porsche said the $2,500 hold on the customer’s credit card was sufficient, since insurance is included in the cost. About the rental agreement which is posted online: Most of it is standard stuff. You can’t smoke in the car, you can’t bring your pet in unless it’s a service animal, you can’t drive it while intoxicated, etc., but there were a couple of things that stuck out to me. You can’t drive it out of state without prior permission seems like an odd one, since Atlanta’s less than an hour from the Alabama state line. You also can’t take the car to a track, period, which is lame. Should things go awry, the agreement says you’re on the hook for all damages, up to a $2,500 deductible. Porsche’s insurance covers up to $1 million in damages beyond that. If you crashed the car while breaking one of the agreement’s rules, though, you’re on the hook for everything. The Vehicle may be equipped with global positioning satellite (GPS) technology or another telematics system, and/or an event data recorder (EDR). Â You acknowledge and authorize that your use of this Vehicle may be remotely monitored by us or on behalf of us through such systems to the extent permitted by law. This remote monitoring may include collection of Vehicle data, such as: location, speed, braking, odometer, oil life, fuel level, tire pressure, battery state of charge, diagnostic trouble codes, and other elements we may deem necessary. These systems may use cellular communications, and you should have no expectation of privacy related to your use of this Vehicle. You agree to inform all drivers and passengers of the Vehicle of the terms of this section, and that you have authorized release of information collected by GPS or other telematics system or EDR. This obviously makes sense from Porsche’s perspective—keeping close tabs on its cars—but depending on how you feel about privacy, that may give you pause. Porsche Drive comes on the heels of Porsche’s subscription service, called Passport, which launched last year for a select few who pay $3,000 a month for to drive almost any Porsche you want. Combined with things like Care by Volvo, Book by Cadillac, Access by BMW, and all the rest, OEMs seem to be getting that millennials—whom the subscriptions are generally designed for—expect more flexibility when it comes to their wheels.